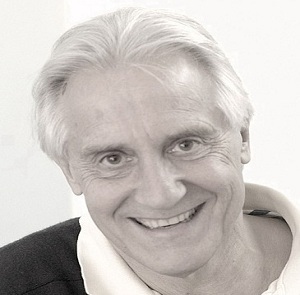 Born in Lancashire, Graham Clark began his operatic career with Scottish Opera in 1975 and was a Company Principal at ENO (1978-85). He has performed with all of the leading UK, European and North American opera houses and in particular at the Bayreuth Festival, where he has performed over a hundred times and at the Metropolitan Opera, New York. He is especially associated with the works of Wagner and has performed Loge and Mime/ Der Ring des Nibelungen over 275 times. His extensive repertoire includes Mephistopheles / Busoni’s Doktor Faust, for which he won an Olivier Award. Recent and future operatic engagements include Wozzeck, Metanoia, Lulu and Die Meistersinger von Nürnberg for Berlin Staatsoper, Reimann’s Lear and Makropoulos Case/OperFrankfurt, Schreker’s Der Schatzgräber/De Nederlandse Opera, Der Traum ein Leben/Theater Bonn, Capriccio for Paris Opera, Hänsel und Gretel/Northern Ireland Opera, Falstaff/Glyndebourne, La Fanciulla del West/English National Opera and Capriccio and Tristan und Isolde for Royal Opera House, Covent Garden. Concert engagements include a concert performance of Melot / Tristan und Isolde with the West-Eastern Divan Orchestra in Seville and Falstaff with the CBSO. He has recorded for all the major record companies and has received three nominations for Outstanding Individual Achievement in Opera. 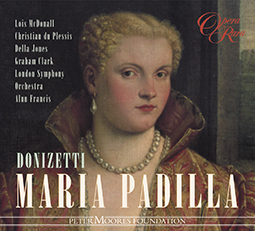 Graham appears on Opera Rara’s recording, Maria Padilla.